For some people, one of the most difficult parts of completing a project is operating in their disorganized workshop. When you have a cluttered workshop, finding things is never easy. You’ll spend time looking for your favorite tools, digging through clutter to find pieces of hardware you know are buried somewhere, and may not even be able to find the materials you need for the work. It can be easy to let your workspace get out of order, but with a few simple workshop organization ideas, you can make the area much more functional. To organize a workshop, you need to know how to organize tools and you also need to find some handy woodshop storage ideas. In this post, we will show you some quick tips for workshop organization including how to organize tools, clean your workshop, create workstations, build or install extra storage, and maintain order. The first step in workshop organization is to clean and empty your work area. Gather your tools, leftover material, hardware bins, and work supports and move them all out of the space. You want to start with a clean slate so you can envision your workshop organization ideas and design without having to work around your existing tools and materials. While you are in there moving everything out, you are also going to want to bring some trash cans or trash bags so you can get rid of any garbage. If you have old pieces of scrap wood or hardware you know you are never going to use, throw them away. If you need to dispose of hazardous waste, set it aside to take to a recycling center later. The next step in workshop organization is to sort all of your tools by what they are used for. You might want to keep the ones you use the most together. Beyond that, you will want to focus on woodshop organization for all of your woodworking tools, grouping all of your yard tools together, keeping your painting tools together, etc. The idea behind learning how to organize tools in this way is to keep items that are used either together or for similar purposes in the same place. Beyond just organizing your tools by what they are for, you are also going to want to keep tools and their compatible accessories together. For example, if you have an oscillating tool, you are going to want to keep the tool and all of its accessories together. Now that all of your tools are sorted out, you can start creating workstations for different types of work. Some people might be able to look at the space and mentally visualize their workshop organization ideas. But, others might find it helpful to get a piece of paper and draw out a plan for the different work areas and the tools that will go in them. You could also try using the online workshop planner from Grizzly. If you are just working on woodshop organization, you may want to create different spaces for different parts of the woodworking process. You could have an area for finishing, an area for machining, an area for assembly, and a workspace where you keep your random orbital sander and other sanding tools. With an idea of where everything is going to go, the next step in workshop organization is to build or install your storage solutions. You are obviously going to want to use your space wisely. Consider shelving and cabinets on walls, overhead storage, workshop storage ideas like pegboard for hanging tools, and even storage in and under workbenches. You have a ton of options for buying things like shelves and cabinets, but you could also follow plans for DIY garage shelving. 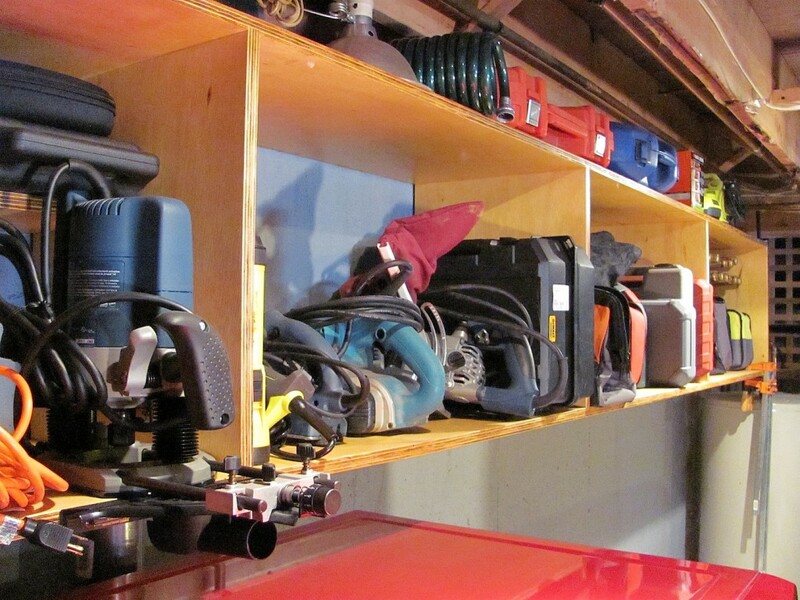 You should also pay special attention when working on how to organize power tools. You could build your own storage for some, but there are tools that have storage options you can buy for them. A good example is the Bladerunner X2 Portable Tabletop Saw. If you want a convenient storage solution, you could just buy and install the Bladerunner wall mount to keep it out of the way. Once you have your workshop organization project complete, you are going to want to do everything you can to keep things in order. Now that you have storage solutions, you should always put your tools and materials in their proper place when you are done using them. You could also consider buying and labeling bins for things like hardware and small pieces of material. 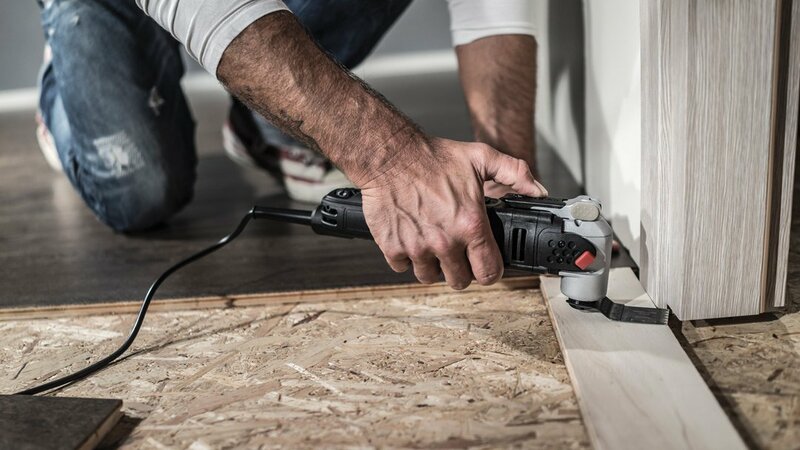 If you have a lot of cordless power tools, you might want to think about designating an area as a charging station for all of your batteries and chargers. It’s little steps like these that will help you keep your workshop organized in the future. Keeping your workshop organized is key to executing successful projects. These woodshop organization ideas are a great way to learn how to organize tools and materials to streamline your work process and keep things running smoothly. Organize your workshop with tools from WORX! Quick tips for workshop organization including how to organize tools, clean your workshop, create workstations, build or install extra storage, and maintain order.